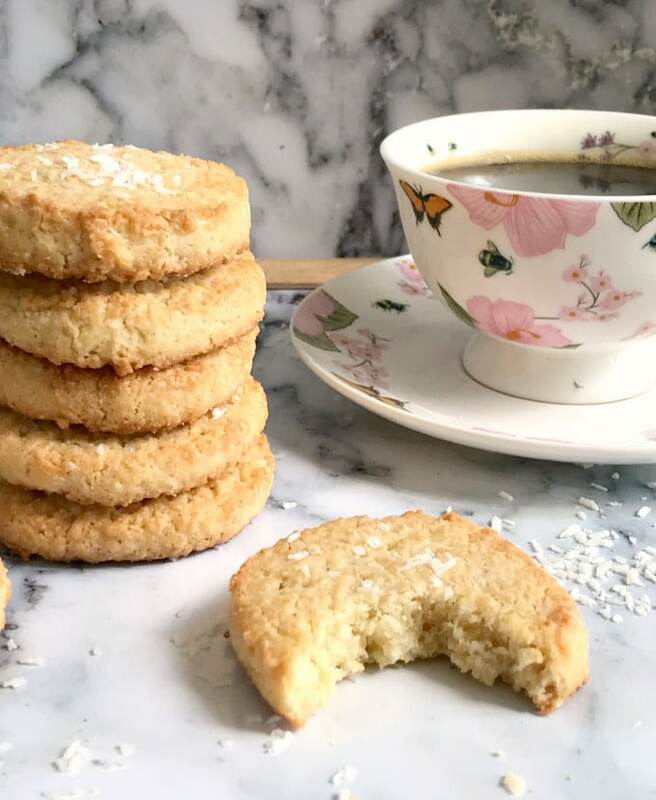 Coconut Shortbread Cookies, a quick fix when you feel like snacking, and your sweet tooth is craving something yummy. 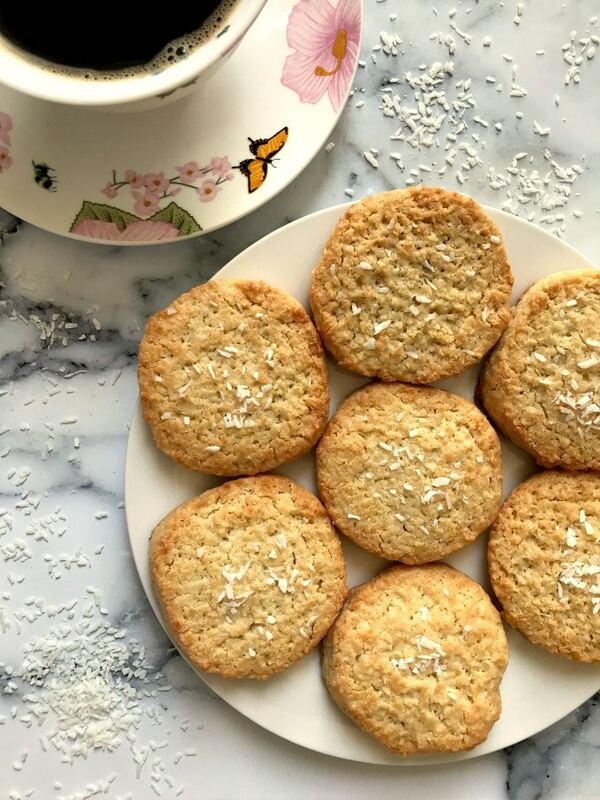 Soft, almost melting in your mouth, buttery, full of coconut flavour, these cookies are absolutely delicious! l’ve always loved cookies and biscuits of any kind, and I like munching on them, especially in the afternoon when my energy levels are going dangerously low, and I need a bit of sugar to keep me going. Not only I get the energy I need, but I also get to have my daily share of spoiling. Homemade cookies have a wonderful taste, and are so much better than the store-bought ones that have a high amount of additives and other nasty ingredients. Ok, they might not be 100% healthy, after all you do use sugar, butter, etc, but still. Well, don’t get me wrong, I don’t eat cookies every every single day. I could, I guess, but I it’s better to keep them as an occasional treat. Or not? Shortbread cookies are a favourite of mine. They are rich, yet delicate, and the flavours can vary grately. For my coconut shortbread cookies I used a bit of vanilla extract, but you can give them a diffrent touch by using lemon extract, rum or any other flavour you like. How do you make coocnut shortbread cookies? Making the coconut shortbread cookies is super simple. You start by beating the butter and sugar together until smooth. Then add the other ingredients, roll the dough into a sausage, then refrigerate it for 30 minutes to an hour to firm up. Once it’s nice and cool, it’s very easy to slice it. Now, don’t beat yourself if the cookies are not perfectly round (mine aren’t!!!). They don’t spread that much in the oven, so no need to leave lots of space between them, I only left more between mine because it was a small batch anyway. You make about 8 cookies out of the dough, obviously depending on how big or small you roll the dough into a sausage. Mine was quite chunky though, but the number you get will be more or less the same. How long to you bake shortbread cookies for? Now, depedning you your oven, the cookies don’t need more than 15 minutes or so to bake at 180 degrees Celsius (350 Fahreneheit). I left mine to get a slighly pale golden colour, but if you want a ligher shade, you can take them out once they are starting to firm up after 10-12 minutes. They do firm up further once you take them out of the oven anyway. How do you store the coconut shortbread cookies? 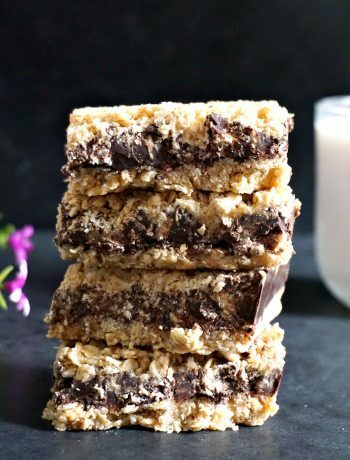 The cookies might seem crunchy, but they are actually very soft, melting in your mouth, and that desiccated coconut texture comes through beautifully. Store them in an air-tight container, they will be ok for quite a few days. 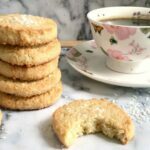 If you’ve liked my COCONUT SHORTBREAD COOKIES or any other recipe on the blog then don’t forget to rate the recipe and let me know how you got on in the comments below, I love hearing from you! You can also FOLLOW ME on FACEBOOK, and PINTEREST to see more delicious food and what I’m getting up to. 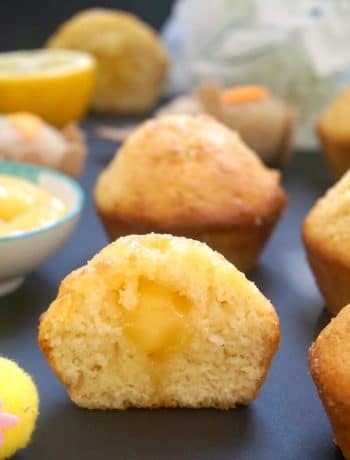 In a large bowl, beat the butter with the sugar until you get a smooth paste, then add the rest of the ingredients, and mix together to get a dough. 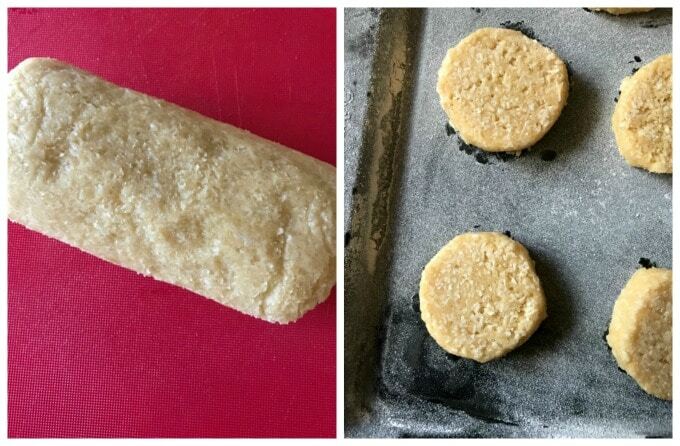 Shape the dough into a sausage, cover in clingfilm and refrigerate for one hour until firm. Transfer to the working surface and use a sharp knife to slice the sausage into approximately 1 cm thick rounds, I got 8 cookies. Grease and flour a baking tray and trasfer the cookies onto it. Bake in the preheated oven at 180 degrees Celsius (350 Fahrenheit) for about 15 minutes or until the cookies are a light pale yellow colour. Leave to cool completely, then serve. Thank you ? 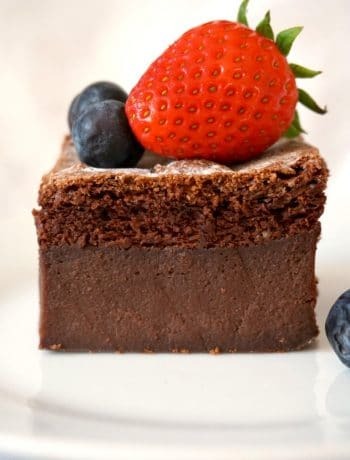 I love coconut too and use it in many desserts l make. Buna dimineata! Avem nevoie de un pachet de piscoturi si 300 ml de frisca. Whipped cream si double cream se gasesc doar in uk, sunt doua feluri de frisca lichida, dar orice fel de frisca pentru prajituri este buna. Sper sa va placa!